Susan taught high school Latin teacher for 17 years, five of which she was a department chair. She was honored as the 2006 Georgia Classical Association Latin Teacher of the Year, was a 2002 and 2016 Fulbright Scholar, has won two NEH Teacher Institute grants, and also was Rotary International Foundation Ambassadorial Scholar at the University of Cambridge, England. Since July of 2012, Susan has been working as a career advisor at Georgia Tech and is part of the Center for Career Discovery and Development. She holds BAs in Latin and Ancient Greek, a M.Ed. in Special Education, and is currently working on a doctorate in Higher Education Administration at the University of Georgia. Greg Boughton holds a BS in Science, a Middle School certification in Mathematics, a Master of Education in Middle grades Education and an Educational Specialist Degree in Curriculum and Instruction. Greg was the 2011 Teacher of the Year and received Marietta City Schools Foundation Teacher Incentive Award. He currently teaches at the Sixth Grade Academy in Marietta. Paul Chaffee holds a Bachelor of Science in Education and Master of Arts in Education with endorsements in Curriculum and Instruction, Leadership, Elementary Education and Special Education. He holds a Doctorate in Leadership. He was the Third Grade Team Leader at Baggett Elementary in Paulding County since 2004. Paul was Paulding County Teacher of the Year for Baggett Elementary 2005-2006. He is currently the Principal at Poole Elementary in Paulding County. Mark Crowe holds a BS in Secondary Education, a Master of Education in Administration and Supervision, and a Doctorate of Education in Administration and Supervision. Dr. Crowe has taught Middle School and has served as an Elementary, Middle, and High School Assistant Principal. He recently retired from being Principal at North Paulding County High School. Brenda Fitzgerald, Ed. S. CDP is a Curriculum Specialist whose area of expertise is reading and any disability that interferes with that process. She is currently the Executive Director for Georgia Educational Training Agency. Brian Jones holds a BS in Middle Grade Education and a Master of Education in Administration and Supervision. He presently teaches 7th grade advanced Science at Austin Middle School in Paulding County. He was named West Metro’s Coach of the Year, 1998, Chapel Hill Middle School Teacher of the Month, 1999 and 2005, Chapel Hill Middle School Teacher of the Year 2000-2001, March 2010 Dallas Rotary Teacher of the Month, and Austin Middle School Teacher of the Year 2011. Norma Jean McHugh holds a BA in Education Kindergarten – Eighth Grade with over 25 years experience teaching dyslexic children. She was a Master Teacher at The Schenck School where she taught for 17 years. She is past president of the Georgia Branch of the International Dyslexia Association and was named Outstanding Person of the Year 2007 by the Georgia Branch. She is a Fellow of The Academy of Orton-Gillingham Practitioners and Educators. Dr. Christa Reeves received her doctoral level training from the University of Florida in 2004. She has professional experience in hospital and private clinics with pediatrics for almost 20 years. She now specializes in private practice, testing and treating Auditory Processing Disorders. She also contracts with the North Georgia Public Health and stays actively involved in the national Early Hearing Detection and Intervention Program (EHDI). Dr. Leslie Stuart holds a doctorate in clinical psychology. 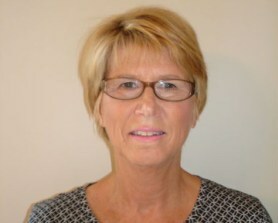 She has been in private practice for over 20 years where she specializes in psychological testing. 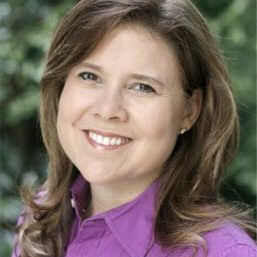 Her clinical practice currently serves children, adolescents, families, and adults in the Atlanta area. She has particular expertise in the assessment of learning differences, including dyslexia, dysgraphia, dyscalculia, and language disorders, as well as attention deficit disorders. Dr. Stuart sees children as young as four years old through adulthood. She works closely with a variety of educational settings, including public schools, private schools, specialized academic settings, colleges, and graduate schools. Dr. Stuart’s evaluations are comprehensive and her reports lay out the “road map” for parents, teachers, and administrators. She has served on the executive boards of the International Dyslexia Association, Georgia Branch and several specialized schools. In addition to testing, Dr. Stuart supervises new psychologists and conducts talks and in-services about the interpretation of psychological reports. Kelly is a licensed psychologist with a Ph.D. in Educational Psychology. She has a private practice in Sandy Springs, where she specializes in evaluations of children and adolescents and adults attending college or pursuing advanced degrees. She has served on various committees dedicated to serving the needs of students with learning differences and has a particular interest in the impact of executive functioning on academic performance.